Heal unresolved issues in your body and mind. Develop your toolbox for calm amidst all the changing circumstances of life. iRest is an evidence-based meditation practice that helps alleviate insomnia, anxiety, fear, and depression. 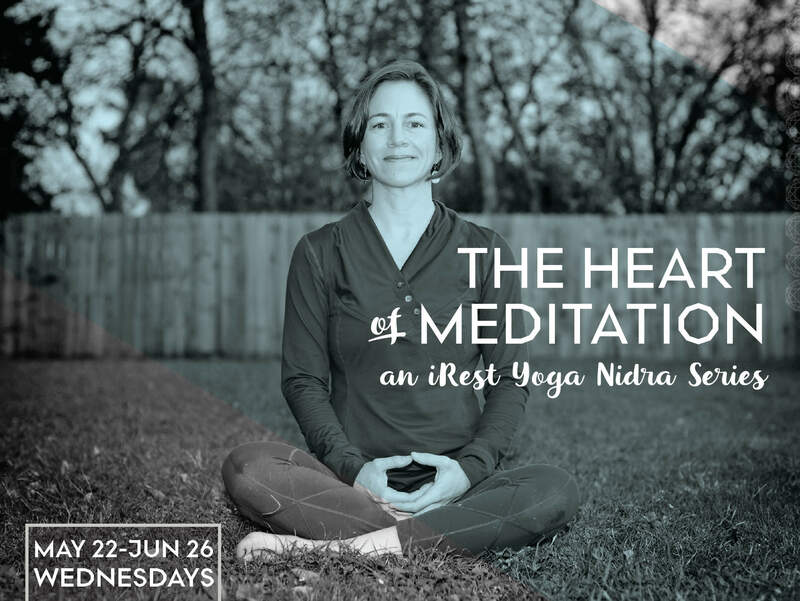 This 6 week iRest course will teach you a practice to help you relax deeply, release stress, increase resiliency, improve your interpersonal relationships and provide you with greater mastery and control in your life. A workbook and other resources will be provided for your continued practice after the series. Kim is a somatic psychotherapist, experienced yoga teacher, and long time meditator. Her clear and encouraging teaching style make yoga and meditation accessible to anyone seeking to know more about the practice and about themselves.